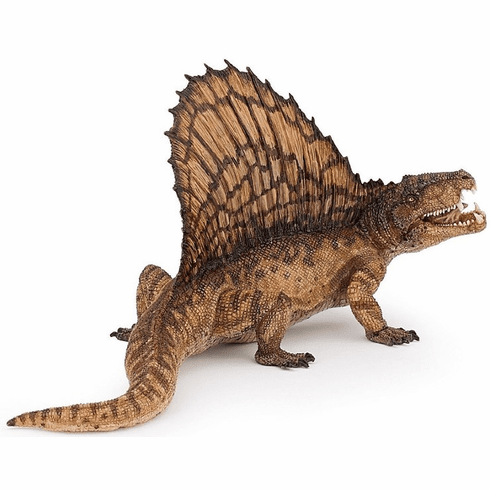 The Papo Dimetrodon measures approximately 6.75 inches long and stands approximately 3.25 inches tall. The Dimetrodon lived during the Permian, millions of years before the first dinosaur. This has not stopped it from becoming one of the most celebrated prehistoric animals in popular culture, noted for its familiar "sprawling" posture, with a distinctive sail running along the back. The Papo Dimetrodon #55033 is part of the Dinosaurs & Prehistoric Series by Papo.